You Have A New Body! 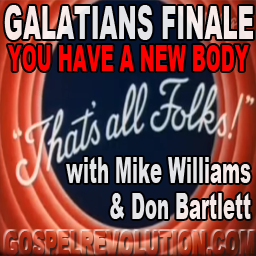 After eulogizing Gary, Michael and Don wrapped up their wonderful series on Galatians. You will not be surprised to learn there is some amazing news for you and all people contained herein. They conclude with the triumphant declaration that you already have your new body!